There are scattered records in the south. The species is widespread in western and central Europe, but is absent from Scandinavia and has not been recorded from Ireland. 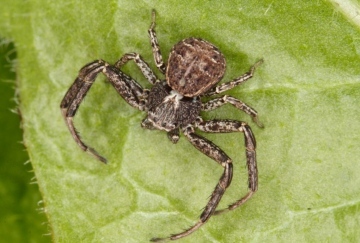 The spider occurs in a fairly wide range of grassland habitats, chalk or limestone grassland in Dorset, Hampshire and Somerset, short meadow grassland in Sussex and Glamorgan and sand dunes at Braunton Burrows (Devon). It has also been found on heathland and coastal under-cliff in Dorset. In 2005 numerous juveniles were found at a washlands in South Essex, with one adult being reared through. Both sexes are adult in April and May. The spider appears to be very local and at most sites only a few specimens have been found, but there now seems to be an increase in distribution and frequency happening, at least in some areas. Threats are difficult to assess because of its varied habitats, but the loss of unimproved grassland in general is likely to be detrimental. Maintain unimproved calcareous and other grassland by grazing.